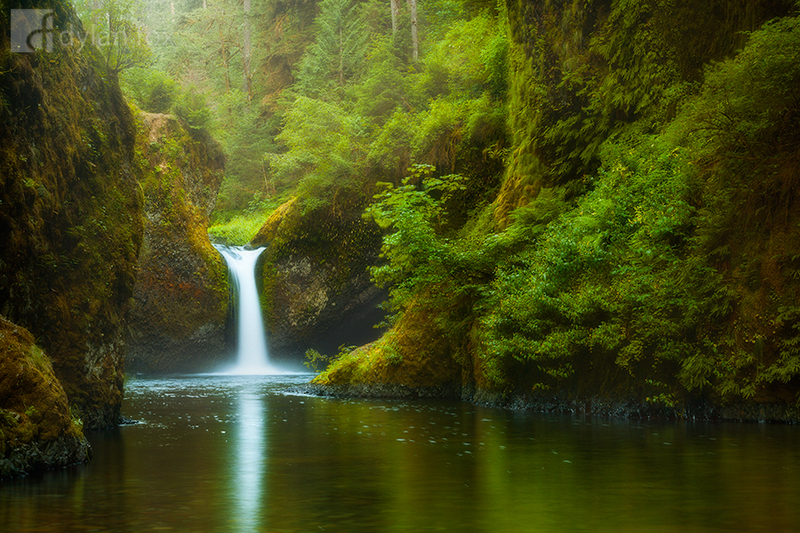 Punchbowl Falls photographed just before dark in the Columbia River Gorge. The hike to the falls is beautiful and at a good pace took me about 45 minutes. The colours in this forest are staggering and it was what I had been waiting years for seeing as I had never visited a lush moss covered rainforest. A place that was awesome to visit and have to myself for a while. During the hike back 3 deer jumped out in front of me which in the dark certainly made me jump! Secure your limited edition, Punchbowl Falls photographic print, 'Pure', by selecting your desired print size in the menu to the right.